Well the time has come to say goodbye to Conflict Manager and CRGI. It has been an interesting journey and I have learned many things but it is time to close this down. Rory is absolutely correct in that we can embrace the failure, I have no problem with that, I have failed many times at many things but what I have not failed to do is to learn from the experience. A few years ago I took my motorcycle riding test part 1, I failed it on a Friday on 1 error, I put my foot down on a u turn. Boom, failed, I knew it as I did it but took the rest of the test with no more faults. The next day as I started my Ju Jitsu class I informed all my students of my failure and explained why they should not fear failing as it is a powerful experience. I then went back the following Friday and aced the test with no faults. Despite the fear of failing again. Rory and I started CRGI and it is we who are closing it with these parting shots. As editor of this magazine I have had the incredible privelidge to correspond with some wonderful people in the violence professions. People of amazing intelligence and experience, the people who make what we do look good, real professionals. The discourse has always been polite and respectful and that is something to remember and I am sure the friendships will endure. I have learned a lot from the knowledge shared by so many people, we may not have made much money but we opened a goldmine full of treasures. The website was/is problematic but it remains there open for you all to use, use it well, there is growth there still. Personally I am developing www.AoSDDigital.com and that is looking very interesting and I must put my energy into my Academy of Self Defence. After 11 years we are now building a team that plays together well, where roles are assigned and each knows how they contribute to the mission and what our objectives are. We know who our target audiences are and how we can meet their needs, the failure of CRGI and Conflict Manager has provided some very important lessons these last 5 years. Rory and Marc both have very interesting new ventures on Patreon and I am sure you will seek them out. We pulled together an all star team and now the team has been dispersed and each former director, Erik, Toby, Jayne, Tammy, Clint, Terry, Teja, Kathy, Varg and Randy are all continuing with their own projects and I would like to offer each of them my thanks for the efforts they made and my personal best wishes in their future activities. It was fun being CEO and an editor of a magazine, I will continue writing. My first book, ‘Exit the Dojo’ will now get finished and published this year and I have a couple of others in the pipeline. So farewell good people and a massive thank you for your support. 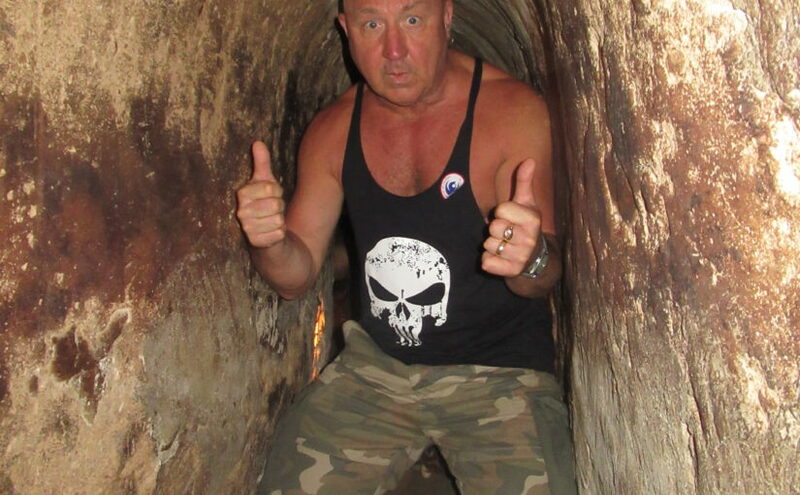 Footnote, yes that is me wearing a punisher vest and camo shorts in a tunnel in Cu Chi, Vietnam.